Highlighting the achievements of women in business as well as providing a platform of entrepreneurs mentoring programs and other useful resource providers. When we talk of ordinary women, it is imperative to remember that ordinary women are already extraordinary and that every woman is special . Many may say, multitasking is the norm for women all over the world, yet we seem to take it for granted. We are daughters, wives, mothers, sisters, supporters, carers and companions. in many cases, we are working on par with our male counterparts and managing homes and families at the same time. So we are talking about ” extra ” extraordinary women reaching their full potential, fulfilling their dreams in whatever way is meaningful to them. Whether it be business, family, health, education or anything else, juggling it all is no mean feat. We have so many special women around us (mothers, daughters and friends) who inspire us everyday, from a grass roots level to worldwide acclaim, whether the role they play is simple or complex. Being extraordinary doesn’t necessarily mean fame and fortune; it means making that difference that makes the change to your life as you see it. Whatever encouragement, motivation you need to empower yourself to be the best version of you. To live life to the fullest in whatever way you would like to. We are privileged to have speakers from the fields of Politics, Media and Business who have taken that step to make the change in their lives and fulfil their dreams. They will share the secrets of what empowered them and we hope that by hearing their inspirational stories you will find that spark within yourself to fulfil your ambitions. 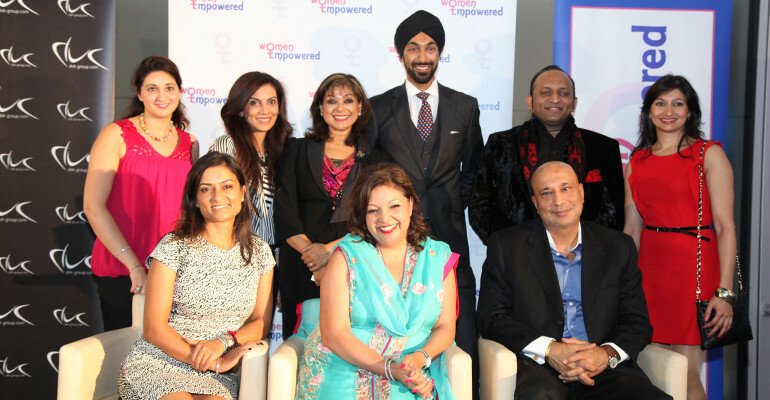 Women Empowered hopes to hold events that highlight key aspects affecting the lives of women – our Launch sets to launch WE on to its extraordinary journey. The story behind multi award-winning label Aftershock is as romantic as the clothes it sells. Hiro and Radhika Harjani migrated to the UK after their families disapproved of their love and attempts to marry in India. Borne out of a passion for beautiful fabrics and exquisite clothing, the pair began the story in 1985 on a market stall in Petticoat Lane in London’s East End. What followed is a spectacular range of stylish, contemporary evening and daywear, and a company that boasts a growing portfolio of distinct ‘fashion destinations’ with an ever-growing number of stores and concessions including in House of Fraser. In fact, Aftershock has almost 150 stores and concessions over a huge geographical spread that covers the UK, Italy, Slovakia, Albania, Egypt, Morocco, the Lebanon, Libya, the UAE, Saudi Arabia and Qatar, to name but a few. New openings include stores in Dallas in the US and Skopje in Macedonia. Most recently, Aftershock opened in Kuwait City and will open another new store in Dubai in the UAE. The brand is set to open its new concept store in India before end of the year. 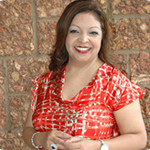 Shashi Gossain – Founder & Managing of Pharmaclinix Ltd.
Shashi Gossain, is the Founder & Managing of Pharmaclinix Ltd. She has developed the exclusive Pharmaclinix® Skincare range, which specifically addresses the problems, associated with Asian & African skin types. Pharmaclinix® range is now, the brand leader for Hyperpigmentation, Acne & Scarring, with tailored regimes & protocols to treat individual cases. Shashi has received many prestigious Awards, as recognition of her work in the Cosmetic-Derma field. Pharmaclinix® Advanced Cosmeceutical range is distributed to 30 countries & is available in over 10,000 retail outlets & Aesthetic clinics, with Members of the Royal families of the Middle East & leading Bollywood actors as clients. 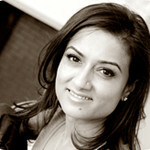 Shashi Gossain is a Member of the Royal Pharmaceutical Society & Member of the Cosmetic Scientists, GB. Shavata has worked in the beauty industry for 23 years and has launched Brow Studios across the UK. Her drive, passion and innovation has made her the leader in the field; forging her the reputation as the “Brow Guru”. Shavata’s first studio started at the Urban Retreat in Harrods in 2004. After it’s successful launch and to meet the high demands of customers throughout the country, Shavata opened four Brow Studios in: London City, Leeds, Belfast and Edinburgh. In 2008 Shavata launched new Brow Studios in seven different locations: London Westfield, Bristol, Cardiff, Croydon, Guildford, Manchester and Dublin and Leeds. In March 2011 five studios opened in London Oxford Street, London Victoria, Richmond, Reading and Edinburgh Jenners. In October 2011 a studio opened in the luxury boutique salon Gielly Green, Harvey Nichols Birmingham in 2012 and Harvey Nichols Manchester in June 2013. The latest studio to open in July this year is the first standalone flagship Shavata Brow Studio in Beauchamp Place, Knightsbridge, bringing the total number of studios to 21. The Brow Studio is a premium brand where the treatments and services provided are an ultimate luxurious experience aimed at an exclusive clientele. Alongside opening a number of studios, Shavata launched a product line which has been designed and perfected by Shavata herself. The products are also sold on QVC and demonstrated by Shavata. In the heart of London, based in Green Park, Deepak Kuntawala, the CEO of DVK has been making waves in the finance industry for several years. His calm and cool demeanour has proved to be his best asset guiding his company through and an ever-changing and volatile industry. Its beginnings lay at the turn of the past century, when Deepak’s grandfather started supplying the colonial army of the British Empire with textile wares while stationed in Southern Africa. 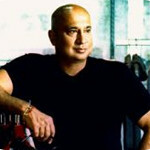 This spirit undoubtedly percolated through the lineage down to Deepak who founded DVK in 2000. 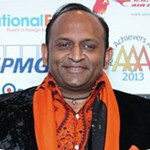 His achievements have been recognised by the business community winning six business awards in six months. DVK has continued to prosper all around the world with a strong foothold in key locations of global trade, headquartered in London, Hong Kong, Mumbai and Moscow, the company’s reach spreads through Europe, Saudi Arabia, the UAE, China, Russia, India and Central Africa. DVK’s service roster includes private equity, wealth management, asset and investment management, structured trade & commodity finance and global commodity trading while some of the sectors in which the company operates are aviation, commodity trading, media & entertainment, finance & banking, PPP infrastructure, and real estate. Most recently, Deepak lead his company’s expansion into the high-flying film industry by branching out and creating an entertainment and film fund. This fund is marking itself as an industry disruptor having brought Al Pacino to London after 29 years with ‘An Evening with Al Pacino’ at the London Palladium. Also, having financed the Bollywood ‘super hit’ Bhaag Milkha Bhaag, the fund continues to demonstrate its investment magic, sensing success where others may not. TiE UK is the London office of the world’s largest not for profit dedicated to supporting and fostering entrepreneurship. TiE was first established in 1992 in Silicon Valley, it has since grown to incorporate over 13,000 members worldwide. In London we have a strong network of 350 members and a reach of 261,500 people per year. 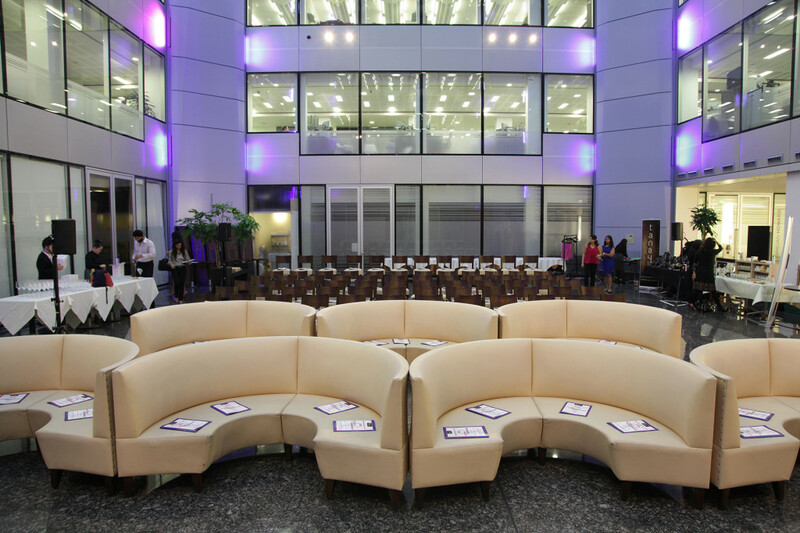 TiE has offices in 62 dynamic commercial centres across 17 countries. Each office promotes entrepreneurship and supports entrepreneurs through TiEs core programmes and busy event calendars. In the UK this includes support and mentoring programmes, a range of business plan competitions geared to various age groups and business stages and through providing funding platforms and opportunities to start-ups and businesses looking to scale up. 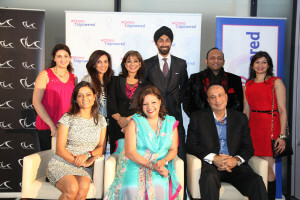 Women Empowered thrives because of the support we get from our generous helpers, supporters and friends. Words can’t express the gratitude we feel. WE would like to say thank you to our supporters. We would like to thank Amina Malik for providing photography at the event. Female Photographer based in London who is Passionate & Ecstatic about Photography…and believes in collaborating creatively with everybody!. For a higher resolution picture, please click on the image. All images courtesy of Sukhman Grewal – www.sukhmangrewal.com – please credit accordingly. The perennially relevant topic of entrepreneurship was revisited by Women Empowered at their event sponsored by Deepak Kuntawalla of DVK on Wednesday 2nd October in Baker Street. Mr Kuntawalla an entrepreneur himself shared his journey and expressed his reasons for supporting the initiative as well as how women played a vital role in his organisation. 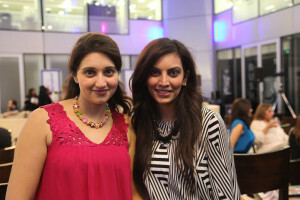 Reena Ranger and Mona Remtulla founders of the social initiative explained that more and more women and men are looking to start their own enterprises for a variety of reasons which may include, child care costs and flexibility, aspiration or a change a change of direction. When women are economically empowered they are catalyst of social change and they build a fairer world for us all. Speakers for this event were Shashi Gossain – Founder and Managing Director of Pharmaclinx Ltd, Shavata Singh – Founder of Shavata Brow Studios and Hiro Harjani – Chairman of Aftershock London. 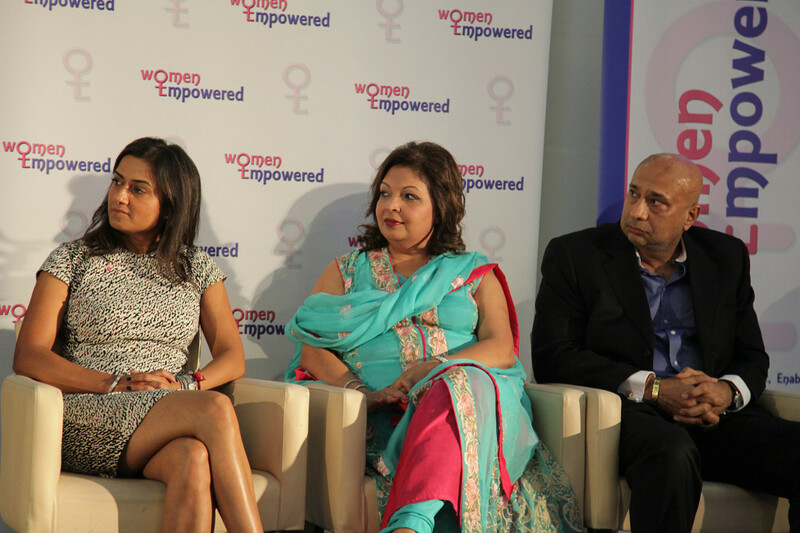 Shashi Gossain explained that due to an industry decline in pharmacy she decided to diversify, she needed to be different and her niche was defined by many of the women who came to see her. There was a gap in the market and she decided fill it! She spoke candidly about venturing into new markets, how although there was an economic downturn in the UK and many other countries, her business thrived in Dubai. New markets meant new challenges. Cultural differences between men and women meant that she had to be sensitive and she persevered and it paid off. New markets and new countries also mean new rules, regulations and norms. Research is vital otherwise money and time may be lost. She emphasised the need to be determined and persevere, to set out time specific goals and try to achieve them along with the need to have a 5, 10 and 15 year vision. Shavata Singh of Shavata Brow Studio, she joked that she had plucked her way to the top! She emphasises her immigrant origin, humble background and the strong work ethic she inherited from her parents. This was part of her story, the other factors of hard work, passion, commitment and luck had led her to where she was today. She urged the women to be brave in business. She took a junior position in a salon he wanted to work in as she knew she wouldn’t stay a junior forever. She built a clientele working when others were are lunch or going home. Wherever she saw a gap, she would fill it. She spoke about the power of press and how an article no bigger than an inch each way transformed her business and how she used her life saving to launch a brow pencil her challenge was to find a manufacturer who would manufacture a smaller quantity. She explained that she took any opportunity she could find and emphasised that one should never let an opportunity go. Not being a business women but a therapist she made her mistake early on and learnt from them within a set infrastructure and then set out alone. “Life is a juggle, if you drop a ball, stop; pick it up and start again, you must never punish yourself. Trust your instincts; invest in your staff they reflect you, passion, drive, hard work and ethic”. 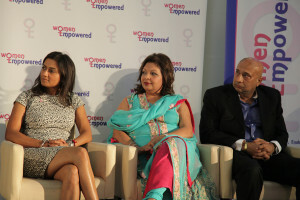 Mona Remtulla took time to explain that Women Empowered was all inclusive and urged men to attend to create a meaningful dialogue, she went on to say that “we always take a male perspective so that we can understand if the challenges faced are the same for men and women and to create a balanced discussion and promote better understanding”. 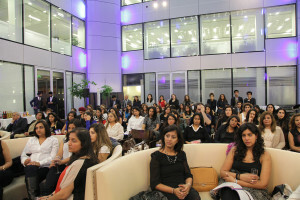 The male perspective for the evening was provided by Hiro Harjani of Aftershock London. Arriving in the UK with zero business experience, no contacts ad limited money. He started in Petticoat Lane and when an opportunity came up to buy a ladies clothes store, he took it, selling his wife’s wedding ring to fund the sale. He asked the previous owner to stay so he could learn from her. He made the decision to move from being a shop owner to wholesaler and wholesaler to branding his own items and open his own store. He had to learn everything, how to build a business from nothing. He always was asking and learning. Mistakes were made because of lack of understanding or research but he again emphasised don’t give up, you have a vision and keep on till you achieve it. Its evolution and you have to start somewhere. Find a niche, his was affordable fashion and today’s businesses are facing more and more competition. Look at new markets and new opportunities. Keep moving working harder and faster than your competition but if you put you mind to it there is a lot to achieve. Hiro also spoke about giving back and taking care of yourself, invest in yourself and the world around you otherwise making money can be empty.